Goa is known worldwide for its excellent beaches, but it can also be a great destination for adventure lovers. It has loads of facilities for adventure seekers to indulge in some exciting underwater activities. Some of the places where you can get to enjoy different kinds of water sports are Panaji, Vasco da Gama and Margao. All these places are also popular for their cultural activities and have still preserved the Portuguese heritage brilliantly. About fifteen kilometres from Goa's capital city, Calangute is one of the largest and popular beaches of North Goa. During Christmas and New Year's Eve, this beach is thronged by tourists coming from different parts of the globe. 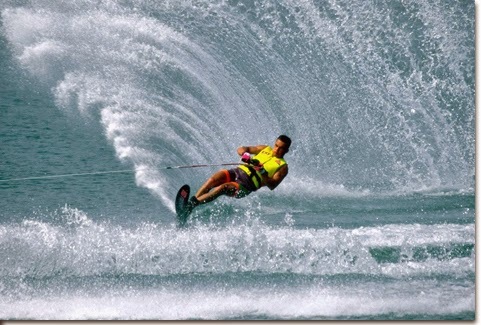 It is also the best place to indulge in some fantastic water sports while enjoying a holiday in Goa. Training courses for amateur divers are also conducted near the beach. Scuba-diving would be ideal for tourists to explore the natural wealth beneath the waters. It is essential to have a comfortable place to stay for tourists to enjoy different types of water sports in this region. The hotels in Goa provide well-furnished rooms and suites, provided with all the modern facilities for travellers to enjoy truly pleasant and memorable stays during their holiday.